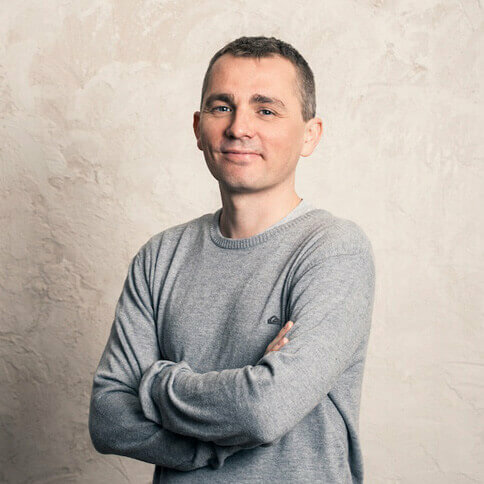 Hi Nathan, first of all thanks for taking the time to answer a few questions for us on Everyday Designer and secondly congratulations on the launch of Nusii.com. Would you mind introducing yourself and your work to our readers? Thanks! My name’s Nathan Powell and I’m a UI/UX designer originally from the UK. I’ve been living in Madrid, Spain since 2001 and I’ve worked as a designer since 2005, full-time freelance since 2007. Could you describe to our readers what Nusii is and the features that make it worth investing in? 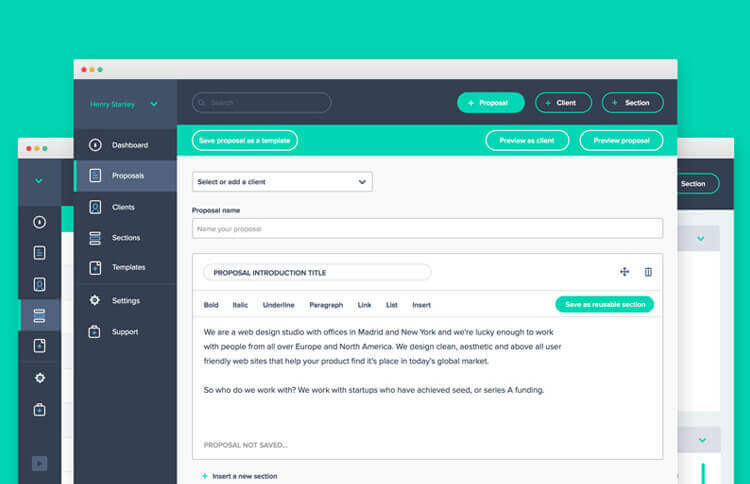 Sure, Nusii is proposal software for creative professionals. 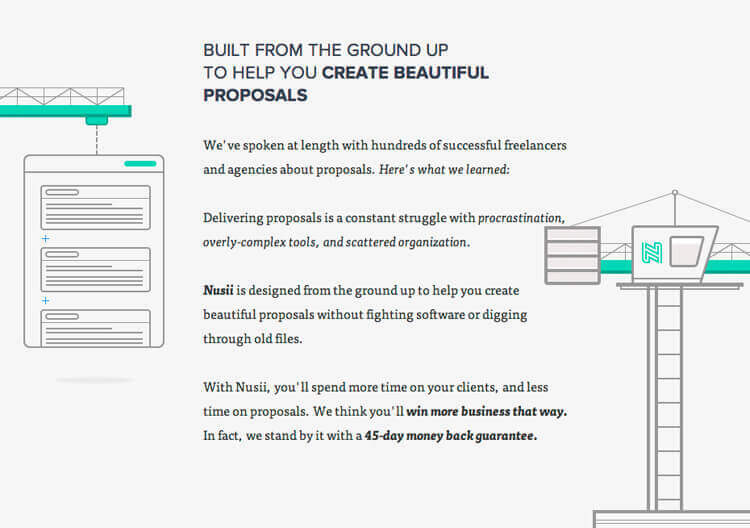 Nusii’s tagline is Beautiful proposals, simplified and that pretty much sums up what Nusii is about: Simplicity. I’ve been writing proposals for years and to be honest it’s not my favourite part of being a freelancer. Any time spent away from client work is time you can’t invoice for. It’s dead time. Most people spend anywhere between 2 and 8 hours when writing proposals. That’s a heck of a lot of time you can’t bill for over the period of a month, trimester and year. I wanted to claim back those hours. Hit send on email and cross my fingers. Hope the client could be bothered to print the proposal, sign, scan and send back! This was an enormous time sink. Writing a proposal from scratch, several times a month is time consuming to say the least. Even if you’re experienced enough to have a library of proposal content saved away, you’re guaranteed Carpal tunnel syndrome from all the searching, copying and pasting. Add to this the fact that you don’t even know if your client will open the damn thing and proposals turn into a real nightmare. From the start Nusii had to be simple. There are plenty of complicated solutions out there. When you need to learn how to use software that does just one thing, there’s something wrong. Nusii can have you set up and creating proposals in minutes. We have starter content ready to get any new freelancer off to a great start. This is an area that we’ll be expanding upon in the near future to incorporate even more content. It’s really helpful to folks who are new to writing proposals. But Nusii’s real strength comes from Reusable Sections. Any content you plan on using more than once can be saved as a reusable section. For example, you might have an introduction that you use with all of your web design proposals, and another slightly different introduction that you use for your branding proposals. By having these sections ready and waiting to go it means you can create a new proposal in minutes. Another advantage to this system is that (apart from never having to copy/paste again) reusable sections can be dropped into any proposal, at any point. We also have reminders set up so you don’t forget to follow up with clients. 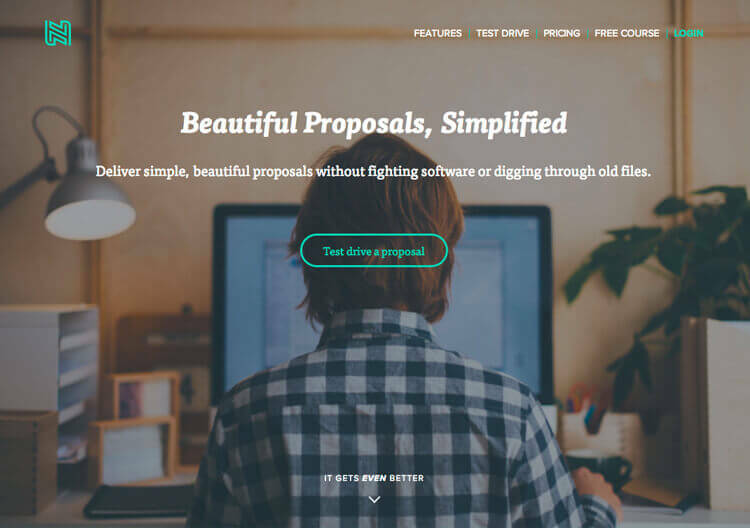 Imagine you have several proposals out in the wild and are busy with current client projects. It’s easy to lose track of things and drop the ball. But Nusii will remind you to follow up, just in case you forget to. I think where Nusii really excels is its usability. We’re trying to make proposals easy. We’ve built up an editor that just lets you get on with the writing and stays out of the way, a content library that has internal and client facing names, branding options that let Nusii sit alongside your company branding and you can even use your own domain (client’s don’t have to know you’re using an external system). And we’ve only just launched! We have a lot planned for the coming months. You mentioned to us that you worked on Nusii part time as a side project. How much of an impact on your full time work did having a project such as this have? Nusii has been a huge effort. There were times when it got pushed to the bottom of my list and there were times when it almost died completely. Running a project alongside client work is a challenge, and more so if you have a family. Time is in short supply. Through user error, (mine) I had a very slow start to the year and as a consequence I had to think carefully about where to best invest my time. After a few conversations with my mastermind group I knew that my future had to be with Nusii. It’s easy to get distracted and jump from one shiny object to the next (something I tend to do often) but after a few gentle pushes I took the downtime as an opportunity. Working exclusively on a personal project isn’t sustainable though. If you’re a freelancer there comes a time when you need money, and things were no different with Nusii. While I was working on client projects Nusii would get pushed down the list, but would spring back to the top as soon as I had a spare minute. When you have a clear goal, (in this case to launch Nusii) you can always find a little extra time in your day. How far back does your relationship with Michael Koper, the developer who worked with you on Nusii, go back? Michael is now more than just my developer, he’s my co-founder. Late last year I did a few months consulting at one of Spain’s larger startups. On the development team was this immensely tall Dutch guy who had this, “Ye, we can do that” attitude. This was great because it perfectly matched my “We need to do this” attitude. At the time I wasn’t actively looking for a partner but I had started to consider the possibility. Deep down I knew that if Nusii were to have any chance of success I’d need to find a technical co-founder sooner or later. My bank account only stretched as far as the MVP, and I knew that Nusii would soon be another project to end up in the side project graveyard. To be honest I was more than a little scared of taking on a co-founder. Nusii was my baby, and I’d already invested quite a few months and a few thousand dollars in it. Giving up a % of that wasn’t going to be an easy step to take. But it so happens that fate stepped in. In early 2013 I applied for a remote post at an Australian startup. I never got the gig but I stayed in touch with its founder, Joel Friedlaender. While chatting one day I brought up the subject of Nusii and my co-founder issue. Joel said something that stuck with me. Joel’s comment was the push I needed. There was no way I could continue without a technical co-founder. The weird twist was that it was Michael who approached me and asked if I was looking for a technical co-founder. We met up for lunch, drew up a contract and the rest is (very recent) history. Offering Software as a Service (Saas) is becoming more commonplace in our industry, why do you think this is? Over the last year I’ve released a book, The Designer’s Guide to Freelancing and was close to launching a second when my plans changed and released it as a series of blog posts, “The Ultimate Guide to Proposals”. I tried unsuccessfully to launch an online workshop for new freelancers, and began, and never finished several other projects that I won’t bore you with here. None of them have been smash hits, none of them keep my family clothed or fed and absolutely none of them are passive. Least of all Nusii. I think one of the dangers of passive or recurring income through SaaS, or any other product for that matter is thinking that it’s all done after launch. Launching a product is just the beginning. Don’t get me wrong, I’m not saying don’t do it (do it). Just be prepared to put in a lot of work and to stick at it for a considerable amount of time…Think years, not months. Finally, what’s next for you? Do you have any other projects in the offing or further features in mind for Nusii? We have so much planned for Nusii that I don’t really have time to start anything else. Although I did come very close to coveting another shiny object last week! The next 12 months will be spent making sure that Nusii is the ultimate reference in proposals for creatives. A lot of people find us through our blog and we intend on really building this out over the coming months. To be honest we’re at the point where there is so much to do that it’s hard to know where to start at all! As for Nusii itself, we want it to be the best proposal software there is. That means a lot more work, a lot more testing and hopefully many more customers.